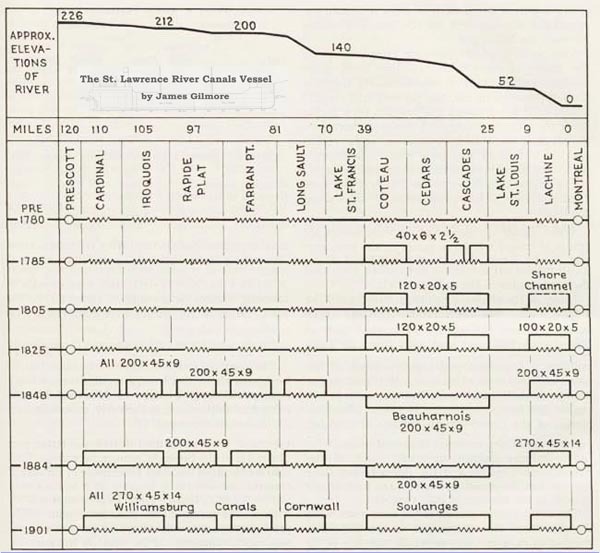 Before the St. Lawrence Seaway opened, a type of ship, long familiar on the St. Lawrence River and in the Great Lakes was known as the "Canaller" and was the result of the difficult geographical features of the St. Lawrence River and the limitations of the canals built to overcome these difficulties. Canallers were divided into three main categories; bulk, package and special freighters. The water route from the lakehead to the open sea is divided into major parts; open water, navigation on the lakes themselves, river and canal navigation on the upper St. Lawrence River between Kingston and Montreal, and almost unrestricted navigation on the lower St. Lawrence and the Gulf. The upper St. Lawrence section is the portion most closely associated with the canaller and the part which restricted free navigation Although there were considerable improvements to the canals over the years, they still imposed many restrictions on design, and the "Canaller" was the result of the compromises made by these restrictions and the cargo-carrying requirements. This is the area of focus for this pictorial presentation. 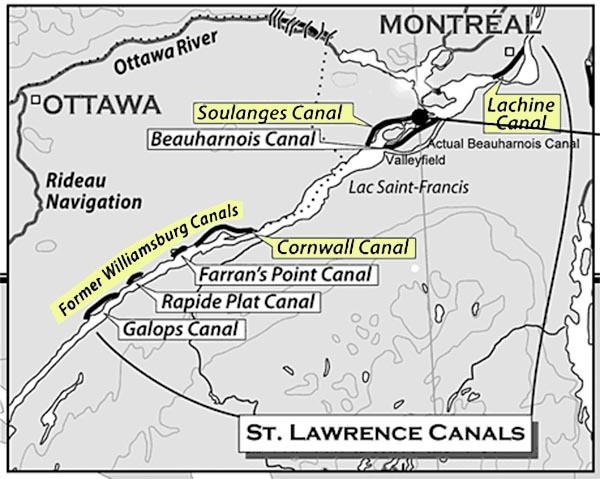 The canal locks were constucted and impoved at various times on the four main sections of the St. Lawrence Canals: Lachines, Soulanges, Cornwall and Williamsburg sections.